The Penguins may have won the Stanley Cup, but here at Rollier’s, you can buy your very own Stanley “mug”! New to our store is a huge selection of insulated beverage containers from Stanley. These are no ordinary mug that insulate for an hour or two, instead you can expect drinks to stay hot for up to 7 hours and ice water to stay cold for up to 36 hours! There are classic screw-top water bottles, one-hand vacuum travel mugs in several sizes, stacking tumblers and pint glasses, classic vacuum thermoses, and even an insulated growler for those draft beer enthusiasts. Each piece is double-wall vacuum insulated and built to last. 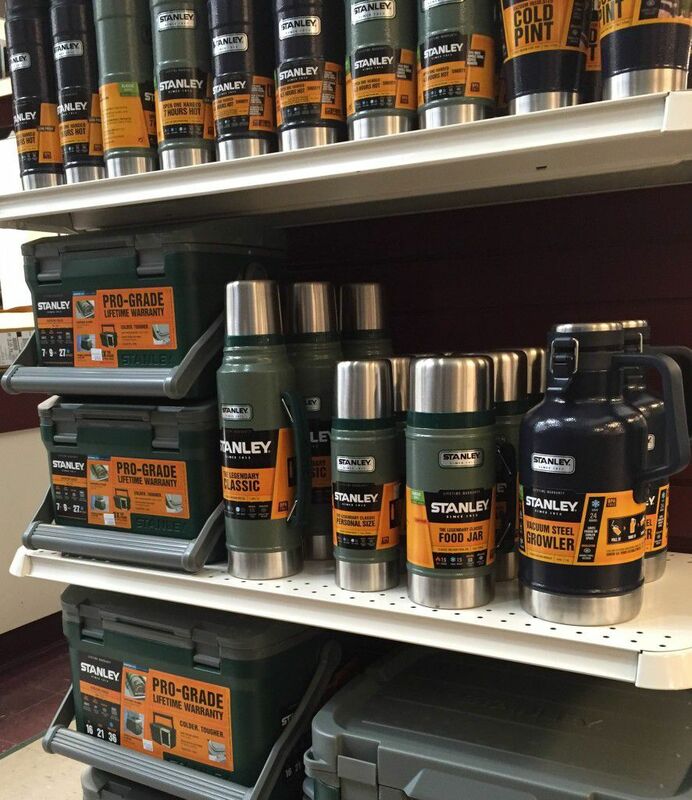 We invite you to stop by our Hardware Department for our full selection of Stanley insulated drink-ware.